Every household needs a ladder, whether you use it every week or only a couple of times a year. The problem is that even the compact ones tend to take up a lot of space and look pretty ugly. Co&Co came up with an ingenious new design for this ubiquitous household tool. 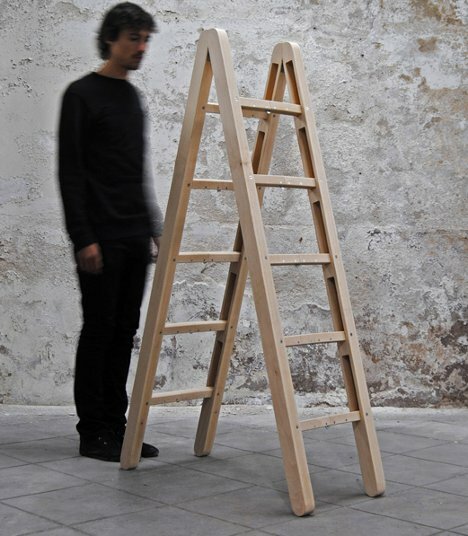 The Corner Ladder looks and functions just like any other A-frame ladder when it’s fully unfolded. 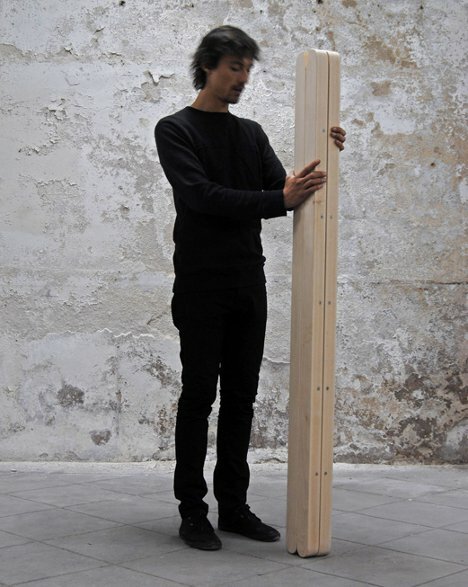 But when you need to store it, there is an extra step to folding it up that sets it apart from other ladders. 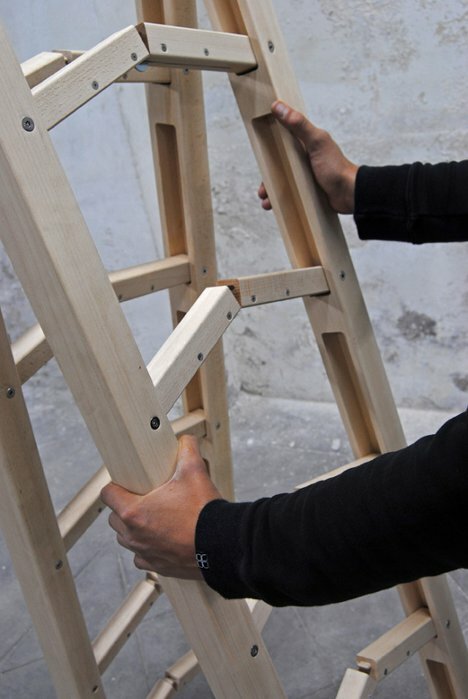 Each step folds up in the middle and then slots perfectly into the spaces in the ladder’s frame. Because the hinges in the steps only allow them to fold upward, the ladder is just as stable as any other of similar materials and weight. The Corner Ladder would probably not be a great choice for someone who uses their ladder extensively – say, a handy person or a house painter. But for the majority of us who pull out a ladder only for occasional light household projects, the clever little folding tool could save a lot of valuable house space. See more in Industrial Design or under Technology. May, 2012.